This course is aimed at experienced qualified veterinary nurses with a level 5 qualification and at graduates from the FdSc Veterinary Nursing course. It allows you to develop your academic qualification to the level of an honours degree, widening your career options and earning potential in the veterinary sector. The course is delivered via blended learning, with specific attendance days. You will have access to our purpose-built Veterinary Nursing Centre and Animal Unit on our stunning Brackenhurst Campus. You'll be taught by our Royal College of Veterinary Surgeons (RCVS) registered veterinary nurses and veterinary surgeons. Widen your career options in the veterinary sector with a further qualification and greater experience and understanding of the area. 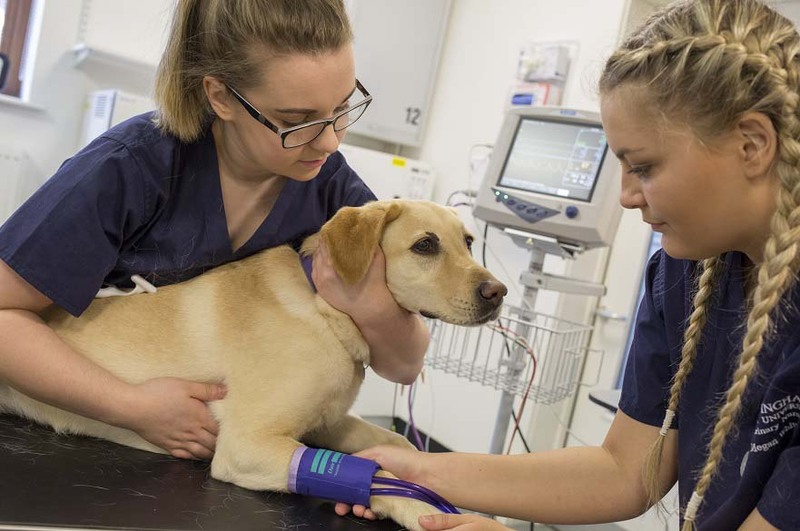 Having developed your skills as a veterinary nurse on an FdSc Veterinary Nursing course, this top-up degree will increase the depth of your knowledge in both first and second opinion practices. You will also gain the knowledge and skills needed to undertake a clinical coach role. Evaluate the use of therapeutic and rehabilitation techniques, and the design of rehabilitation programmes for animals. Improve your anaesthetic monitoring, pain management, critical care nursing skills and gain the confidence to tackle challenging anaesthetic patients. You will develop your problem solving skills using case based learning and have the opportunity to practice practical skills in the simulated veterinary practice. Raise your awareness of global veterinary medicine and the different practice environments, and develop your critical thinking and analytical approach to animal disease. Focus on problem-solving skills and the use of research to approach complex cases. You’ll develop evidence-based and holistic care techniques. You will also gain the knowledge and skills needed to undertake a clinical coach role. You will have the option to undertake either two comprehensive case reports from your clinical practice, or conduct a review of the current veterinary nursing evidence available for a topic of your choice. Alternatively you may opt to undertake a research project. The course uses a variety of assessment techniques to ensure that you can demonstrate the range of learning outcomes. Subject knowledge and understanding are mainly tested through assignments, reports, projects, presentations and case studies. As this course is delivered through blending learning, it is essential that you have reliable internet access. You'll be taught by our RCVS-registered veterinary nurses and veterinary surgeons, supported by visiting professionals and specialists. This degree has been developed in consultation with our industry partners to develop skilled graduates for positions in referral practices and veterinary hospitals, as well as roles such as supervision of hospital wards and training of other nursing or support staff. The course also opens up opportunities outside of veterinary practices, such as in research establishments, laboratories, universities, colleges, zoos, pharmaceutical companies, breeding and boarding establishments, pet food companies and rehabilitation centres. Alternatively you may wish to pursue a career overseas, where there is a growing demand for UK qualified veterinary professionals in developing countries. 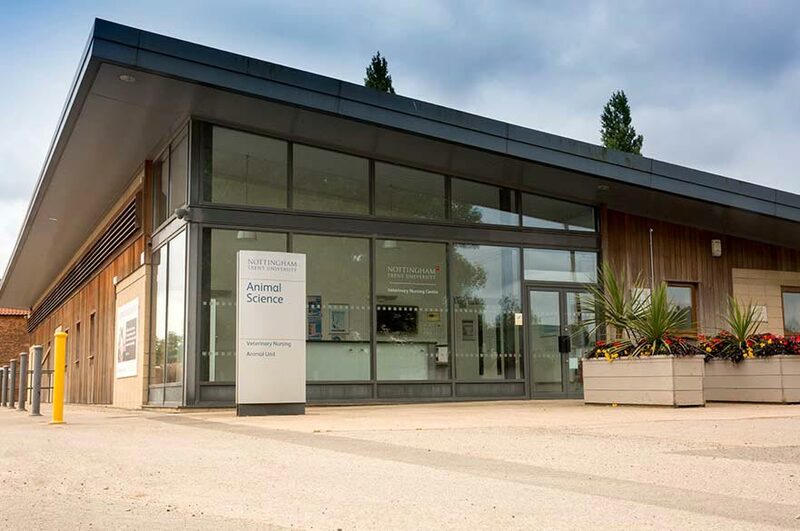 The School of Animal, Rural and Environmental Sciences is located on Nottingham Trent University’s Brackenhurst Campus – an idyllic, 200-hectare estate in a rural setting, approximately 14 miles from Nottingham. 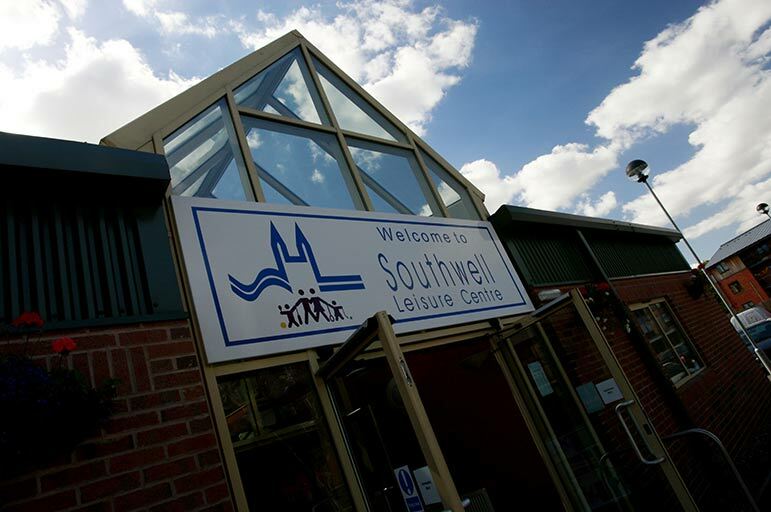 It is close to the picturesque market town of Southwell and has good public transport and road links with Nottingham. 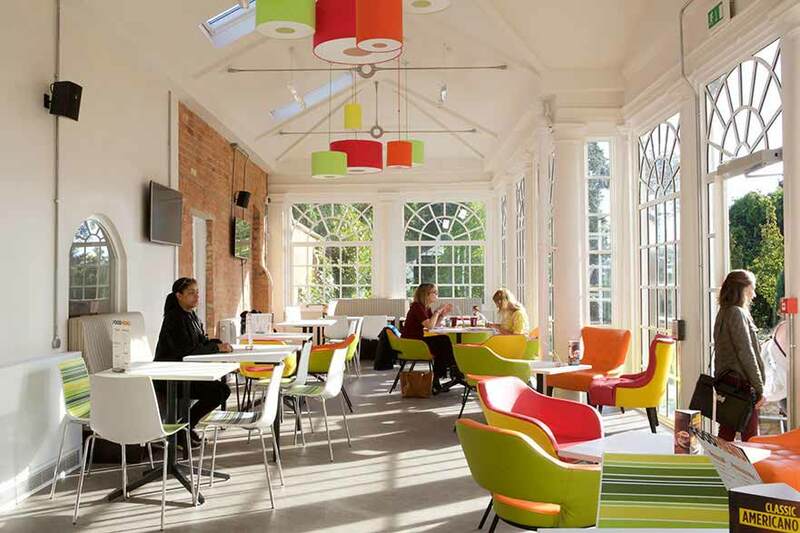 Brackenhurst boasts a fantastic, purpose-built residence, which is at the heart of the campus. It gives you easy access to all the facilities on site. Other facilities include the Bramley building – a modern teaching centre equipped with laboratories and lecture spaces. 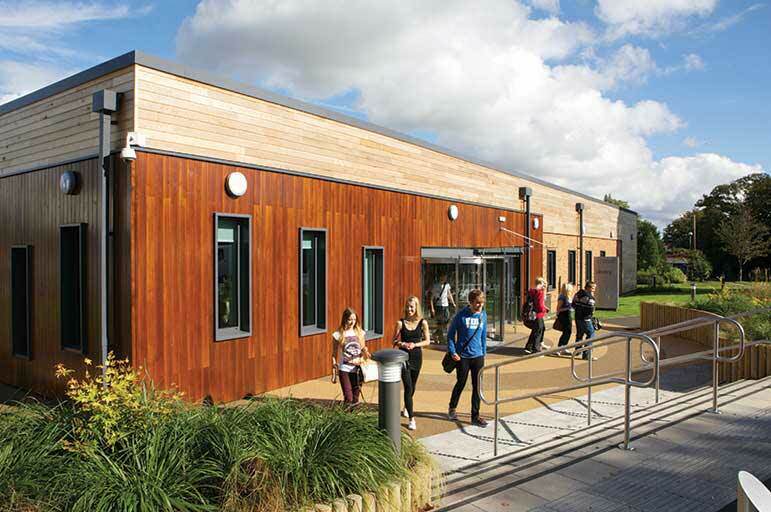 You will have access to the on-site Careers Service, computing resources, cafe and bar, shop and sports pitches. You are also just a short journey away from all the events, entertainment, clubs and societies that Nottingham city centre has to offer. The Royal College of Veterinary Surgeons' (RCVS) accredited Veterinary Nursing Centre is a purpose-built simulated veterinary practice, giving students a real-life feel to their studies. 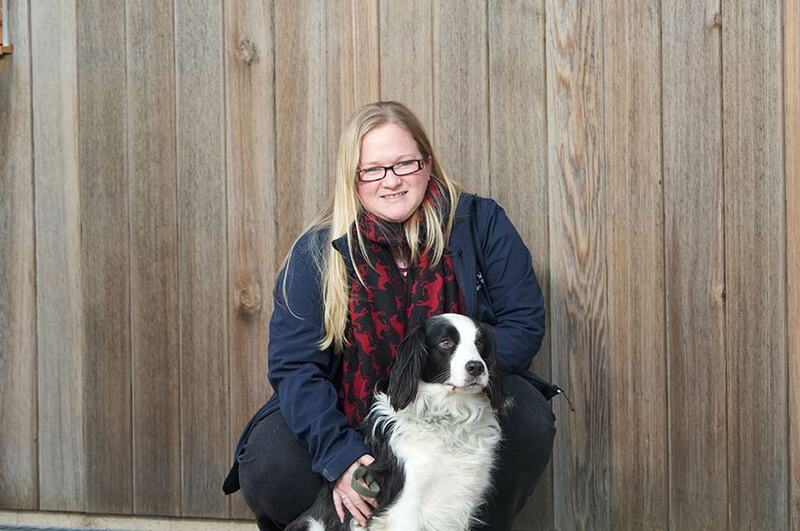 Students are supported and taught by our excellent RCVS registered Veterinary Nurses and Veterinary Surgeons at all times during their course. 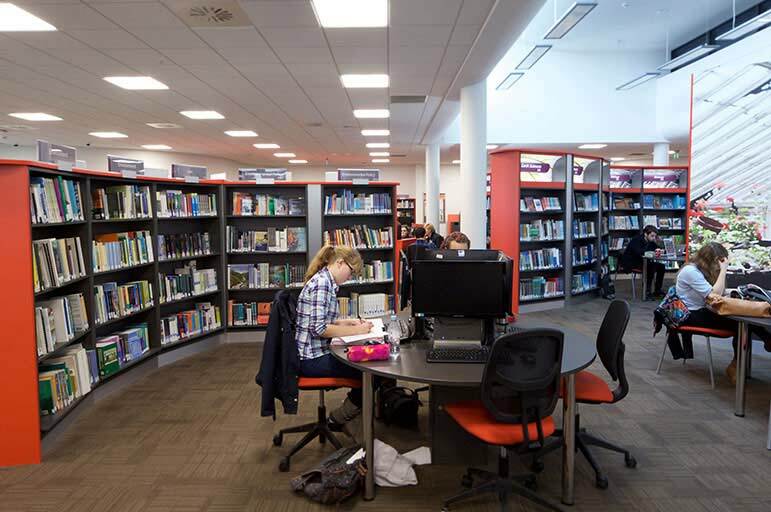 We have a 1,000 square metre, £2.5 million campus library. The library building uses energy-efficient and low-carbon initiatives such as photovoltaic panels, LED lighting, intelligent lighting control, heat-reclaim ventilation during winter, renewable cladding materials, locally sourced materials and water-leak detection systems. Our biodiversity analysis of the library site highlighted the need to check for protected species such as bats and great crested newts. We've created new ponds, fence-ringed areas and bespoke habitats as part of our mitigation strategy. Our library is also accessible online with a growing number of e-books. Brackenhurst campus has been awarded Green Flag status, a national award recognising green spaces throughout the country. We received the award along with other notable green spaces such as Kensington Gardens, Regent's Park and St James' Park. 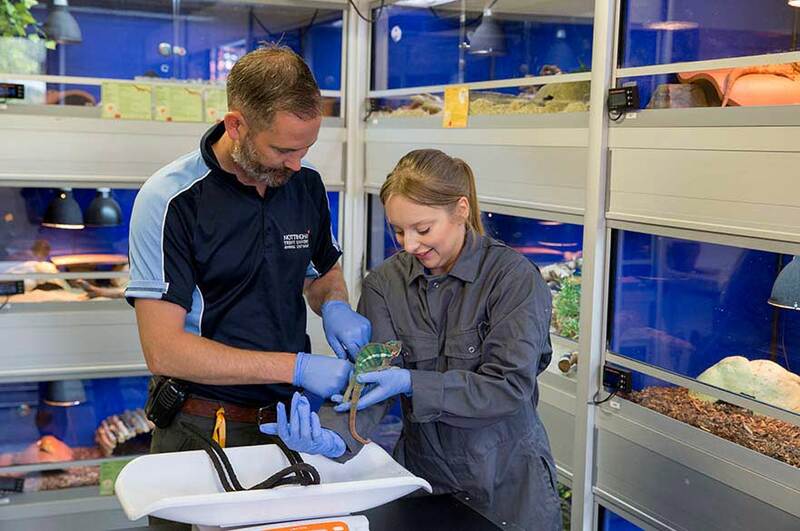 During the course you'll benefit from access to our Animal Unit and Veterinary Nursing Centre, which stimulates a real-life veterinary practice. have completed a Level Five or equivalent qualification. undertake an interview with a lecturer. If you are unsure whether the qualifications you have, or are currently studying for, meet the minimum entry requirements for this course, please contact us before submitting an application. Ready to join us? Just click the Apply button at the top of the page and follow the instructions. You can apply for this course throughout the year. As part of the course, students will be expected to undertake a work placement. Students will be expected to pay for accommodation, travel and living costs whilst on placement. As this course is delivered by blended learning, it is essential for participation in the course that students have access to a laptop or desktop computer that has a reliable internet connection and suitable operating system to ensure you can fully interact with all of the learning resources.